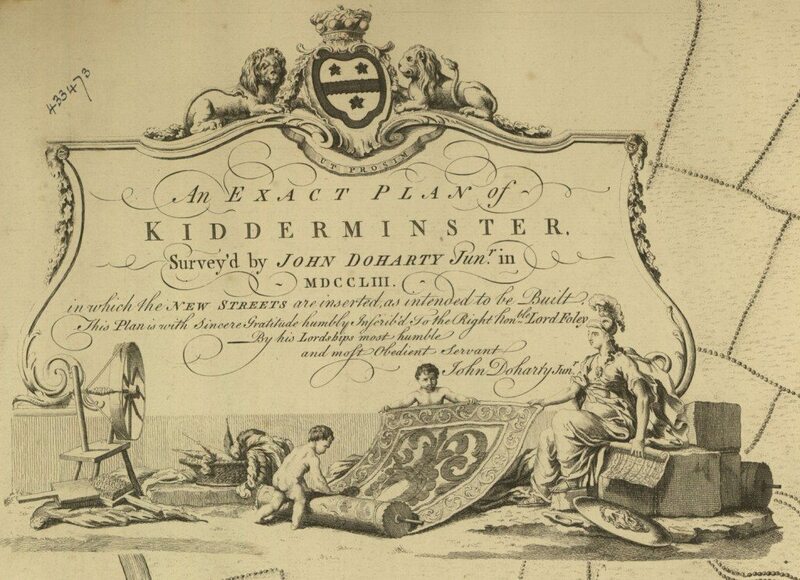 Image: Cartouche from John Doharty’s Plan of Kidderminster of 1753. 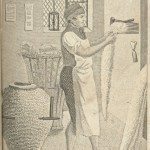 The image displays the importance of carpet making in the town by the mid 18th century. 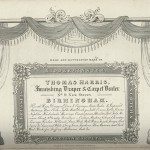 Image from: Local Studies and History, Birmingham Central Library. 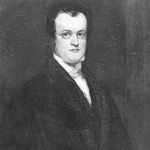 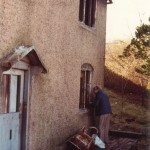 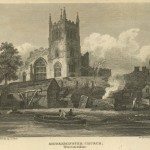 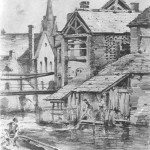 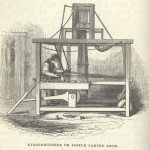 Lord Foley, lord of the manor of Kidderminster, recognised the need for new housing for the carpet weavers who were now flocking to work in the town in the mid-18th century, and the potential of extra rental revenue for himself. 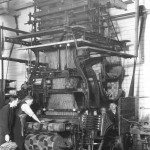 Kidderminster became synonymous with carpet weaving. 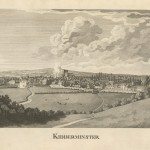 In 1753, John Doharty’s 1753 Plan or map of Kidderminster showed some 150 new houses, neatly laid out in courts, along with two buildings clearly marked as “Carpet Halls”. 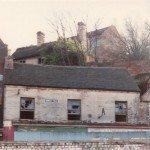 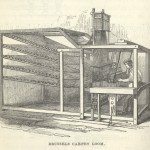 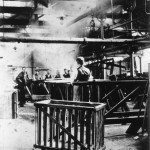 These can be identified as the first two carpet factories of any size, leased jointly by John Broom and John Pearsall. 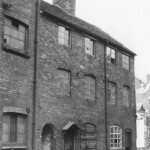 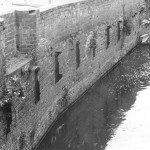 By 1758, these two buildings contained thirty-two looms between them4 . 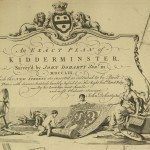 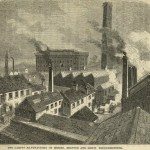 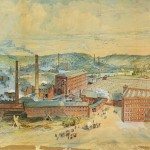 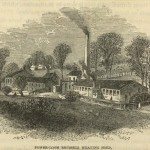 In 1788, the traveller John Byng described Kidderminster as flourishing, with a great demand for its products, meaning carpets, both at home and abroad5.